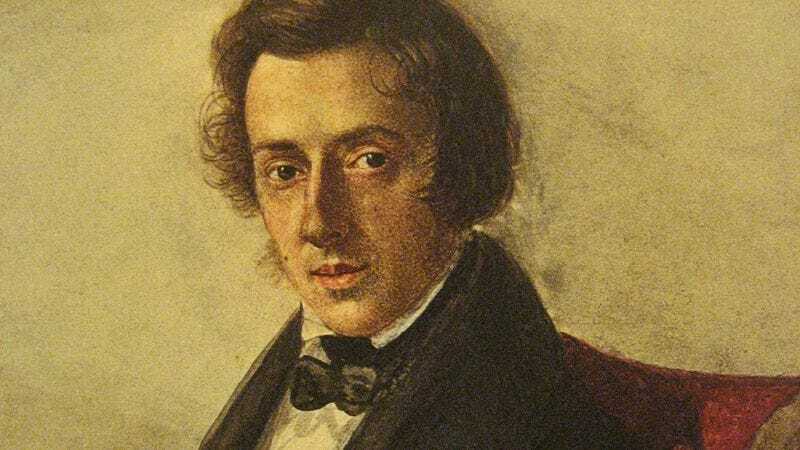 Polish composer Frédéric Chopin died 164 years ago, which puts all of his musical compositions into the public domain. But modern recordings of his work carry tricky DRM copyrights and other restrictions, making any use of some fantastic classical music prohibitively expensive to license for independent artists. Non-profit Musopen aims to change that with Set Chopin Free, a Kickstarter campaign to raise enough money to record all of Chopin’s compositions and make them available in the public domain. They’ve lined up music professors and strong competitors in the International Chopin Piano Competition to record around 250 pieces of Chopin’s work. Really, the project is worth it just to get DRM-free versions of Chopin’s nocturnes, which make excellent focus music for reading, studying, and writing. Vladimir Ashkenazy’s recordings are stellar, but a pianist with a lighter touch would probably be better. Plus, providing free music that resides in the public domain for a wide range of uses is a noble goal.